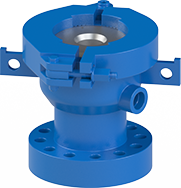 Non-rotating diverters are ideal for use on Top Drive Rigs or Work Over Rigs where drill pipe is to be rotated inside a stationary stripper rubber, or for drilling programs that don’t warrant an RCD drilling package. 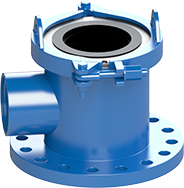 Non-rotating diverters are useful for multiple drilling applications, including oil & gas, water, monitor and geothermal wells. Non-rotating diverters provide a cost-effective solution for safely diverting all drill cuttings away from the rig and personnel and into a container for disposal, keeping clean up costs to a minimum.